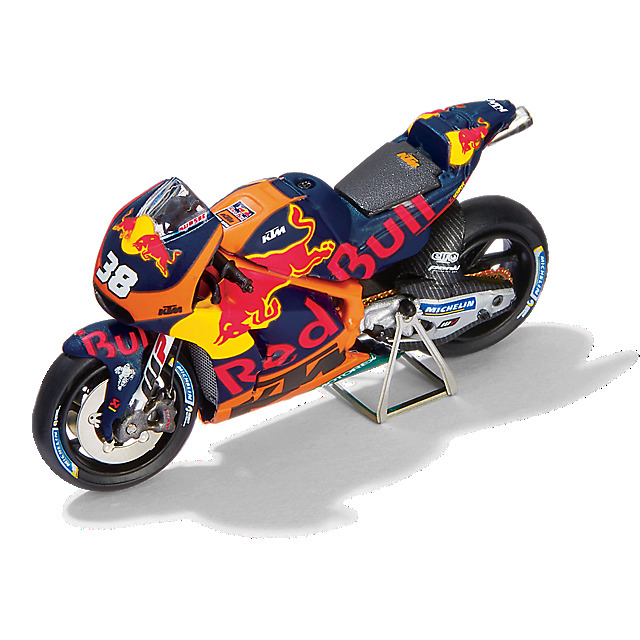 Add to your model collection with the Red Bull KTM Factory Racing RC16 as ridden by Bradley Smith in 2017. 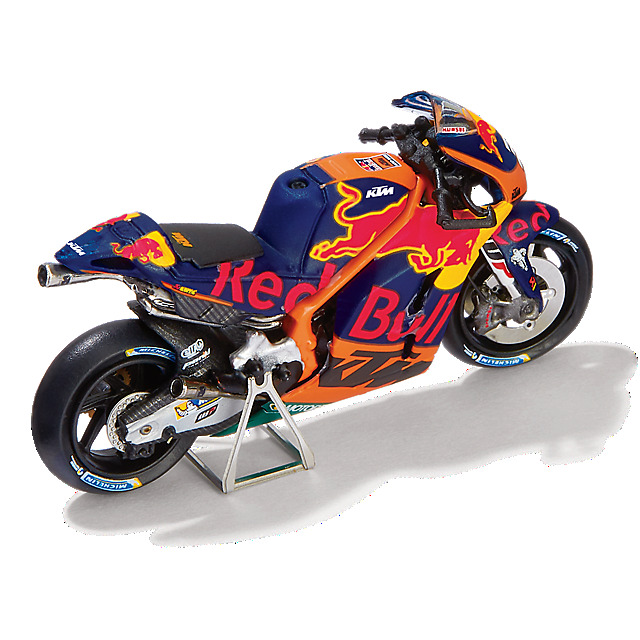 Scaled at 1:43, this authentic, highly detailed replica of Bradley's 2017 MotoGP bike features Red Bull, KTM and partner logos and comes with a bike stand to keep it up. Presentation box included.